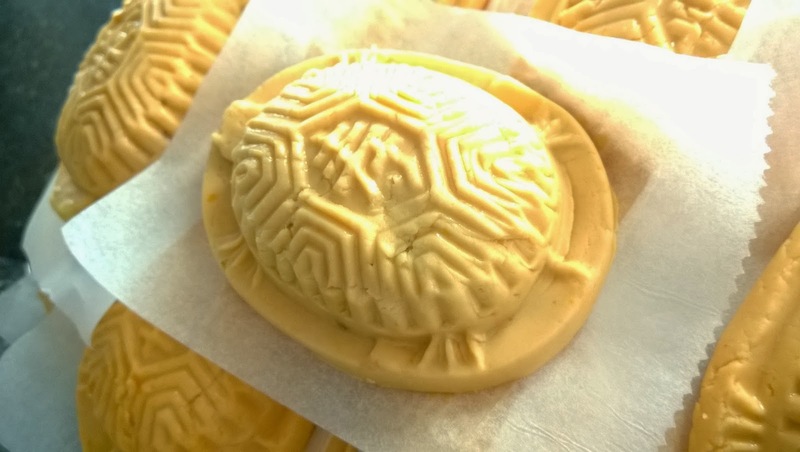 Mummy is making "ang ku kueh" (which literally means "red tortoise cake" in english) for BIM's birthday. 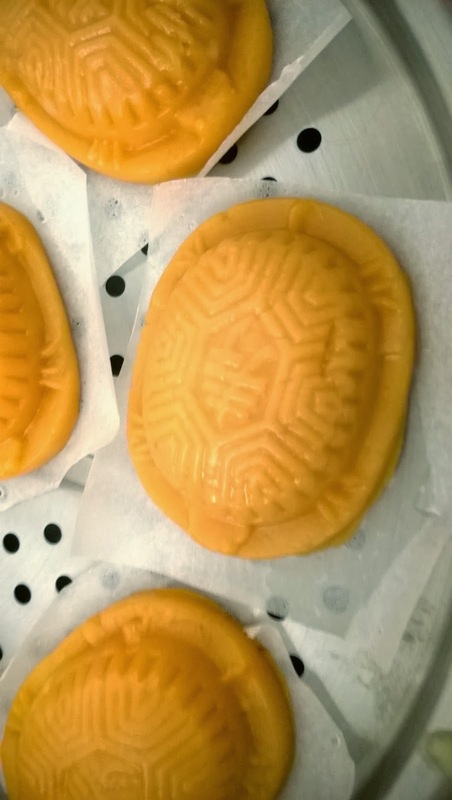 It is a chinese pastry made with glutinous rice flour with sweet filling. 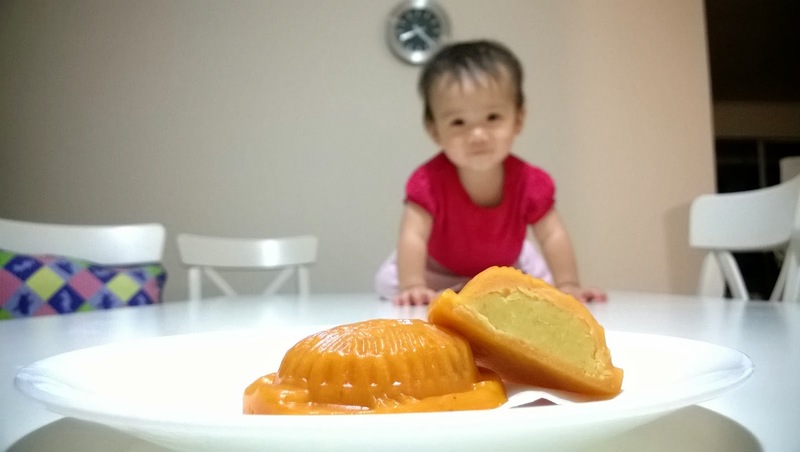 Grandma taught mummy how to make these "orange" tortoise cake by adding sweet potato mash. As Mummy couldn't find banana leaves here, she substitutes it with baking paper. It's very yummy! 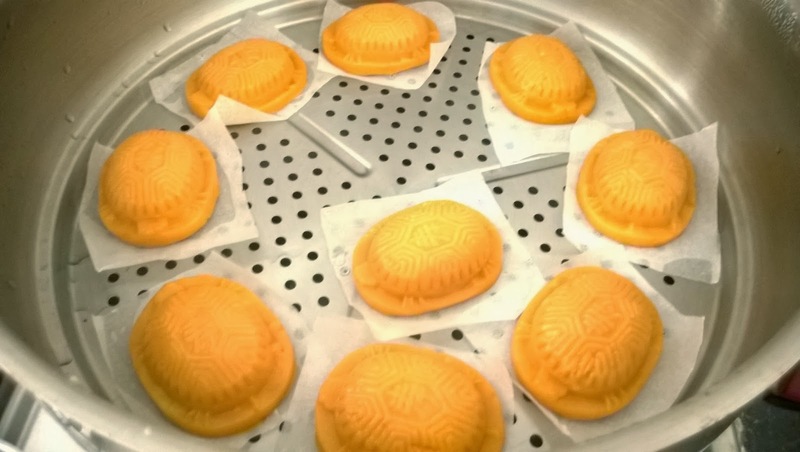 Can you see the orange tortoise with a 寿 - longevity on it? Hehe! I want to eat them! Got recipe boh? Post lah the recipe.